The consensus emerging on engine clock boost frequencies from RX 590 leaks so far, put RX 590 custom-design, factory-overclocked cards to tick around 1500-1550 MHz, a 100-200 MHz improvement over the RX 580. Some board vendors such as Sapphire are even overclocking the memory by about 5%. "Polaris 30" is likely pin-compatible with "Polaris 20," because most board vendors are reusing their RX 580 PCBs, some of which are even carried over from the RX 480. For the HIS RX 590 IceQ X² this means drawing power from a single 8-pin PCIe power connector. Any word on prices for this cards ? They were really dominant in the HD2000-HD6000 era, and had some very bold designs. they were the "Liberace" of GPU makers. Now, I haven't seen a HIS card for sale in Norway in quite a few years. Wonder what happened. At 1500Mhz 590 would be +10% GPU clock. So, calling this 585 would mislead a bit. Well, given that the 290X was 7% faster than the 290 according to the TPU GPUDB and the 580 is 9% faster than the 570 from the same source, I guess this ultimately is a bit of a toss-up in terms of appropriate naming. To me it feels disingenuous given that the other specs are identical, but then again is a rather significant clock speed increase. I guess I've been spoiled by looking at Nvidia spec sheets, I was sure the 580 did somewhere around 1500MHz boost. But please, AMD, for the love of all that's good in this world, price this thing sensibly. As in, the same MSRP as the 480/580 or ideally lower. After all, this isn't brand-new cutting-edge tech, and there's no reason to charge a premium for it just 'cause the current market is bananas. $180 MSRP, with fancy-cooler partner/OC cards at $200? It'd sell like hotcakes. i had one of the IceQ style coolers mounted on my X850XTPE! :rockout::rockout:what a fabulous time to be alive that was! I think after the skt 939 'enthusiast' era when overclocking was done by tweaking FSBs. HiS like a lot of other companies slowly pulled out of the market. The card pictured here is a Radeon 4670. So many companies left the enthusiast market. a lot of them just slipped away overnight. Some were bought out while some others went bankrupt or faced financial difficulties before being bought out and the brand never saw the light of day again. Didnt matter if you were a GPU or mobo manufacturer. everyone had more or less the same fate unless you were the real strong ones like Asus, Gigabyte and MSI etc etc not all survived the test of time. HiS probably pulled back to focus on the Asian market. Might I ask, in what universe have you been living recently ? seriously....a so called "new" GPU for less than $500-800....this is so nOt happening, thanks to the greed-mongering, money-whore SOB's that make this stuff ! That's an ... interesting looking cooler :P Love the faux-mechanism-ish print on the label, though. "This GPU has TUBES and STUFF in it!" Still, it looks better than the reference single-slot 4850 blower I had the misfortune of having two of at one point. Then again, owning that thing set me down the path of figuring out that quiet computers are nicer to be around. Can't say I've regretted that since. Unfortunately you're right that this is not unlikely, but it's still atrocious. $249 would be reasonable or even a bargain if this launched alongside the 580. 10% more performance for 10% more money? Sure, no problem. 10% more money for 10% more performance more than a year later? What? Piss off. At this rate, I'll be sticking with my Fury X until something like 2025. I've been living in a universe where logic is supposed to apply to the world. Sadly, this universe seems to be increasingly imaginary on far too many fronts. I think i did get a similar cooler for my dad's 9800 Ultimate card that he got given for free which had that turquoise blue'ish kind of plastic to it. Don't know why manufacturers don't make that type of cooling any more, especially for <150W TDP cards. It's in Romanian but the preorder is ~ 290 Euros. Man it’s like you stole my card! Funny we all went that route. 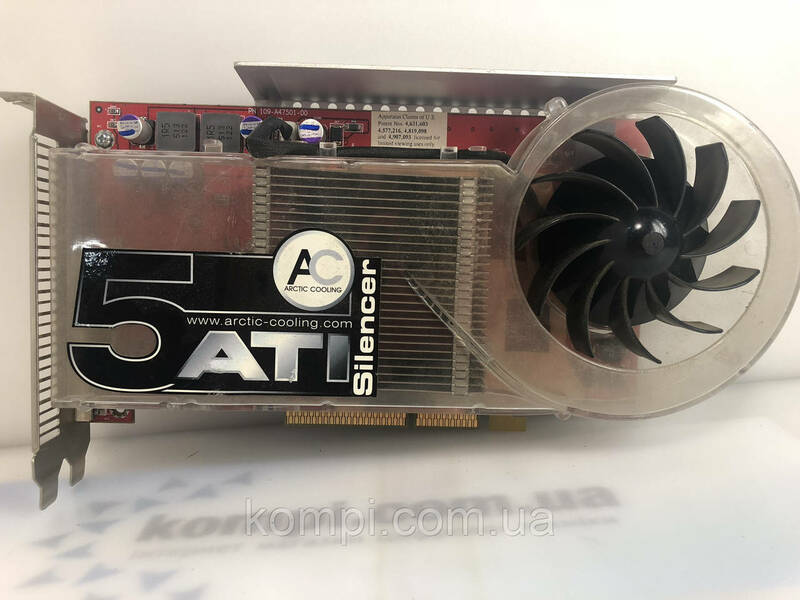 'Arctic Cooling Silencer 5'... yep have that on a X800 GT AGP that was pat of a 440BX Slot II motherboard sporting a PowerLeap (adapter) with a 1.4Ghz Tualatin OC to like 1.7Ghz, those where the days! Still have all that stuff in the garage. Around that time in my life i used to come home with $2000 per month. worked 60-70hr weeks and never had time to spend my money so that £200-300 went like water. I was mad because of the price but I was still out there holding the line and representing the AGP platform while the industry had transitioned to PCI-Ex. I think the card cost as much as an X1900GT which is why i was so mad about it. I think there were a limited number of 850XTPE cards ever made so hence the price but back then i was too much of a noob to understand. X800 modded to X850XTPE via BIOS flash was fantastic value. I went the Zalman rout instead of Arctic Cooling to save a few bucks. That really was a fun time... pencil mods, Arctic Silver 5, 200 hour break in period, using 8 different programs to mod this or that or to get a specific sensor reading. Just loved seeing my hard work and research pay off. Honestly, not sure how to feel about progress... so many "experts" today that know how to watch Mr. Nexus mumble his way through an explanation. Then they click a button and boom, 7.5% more performance and an epeen the size of a baseball bat. I wonder if they sell pre-built LEGO, all the results without the effort. (Dang I sound bitter). I have to say this HIS card is one of the best looking cards I've seen lately. I like the color of this 580. I had one of these 4670 AGPs, it was the final upgrade to my "hotbox" PC (dell dimension 4600, upgraded to 4GB 400MHz dual channel DDR, 3.4GHz northwood P4 with full copper cooler, this card, and a 160GB 7200RPD HDD). Extended the life of my old box far beyond when it should have been decommisioned. A friend of mine had a pair of 2GB 6970 HIS center fan cards, they were impressive. Quiet, cool, ran forever. I miss HIS. They made some genuinely fantastic AMD cards, their coolers were EVGA quality competitors.